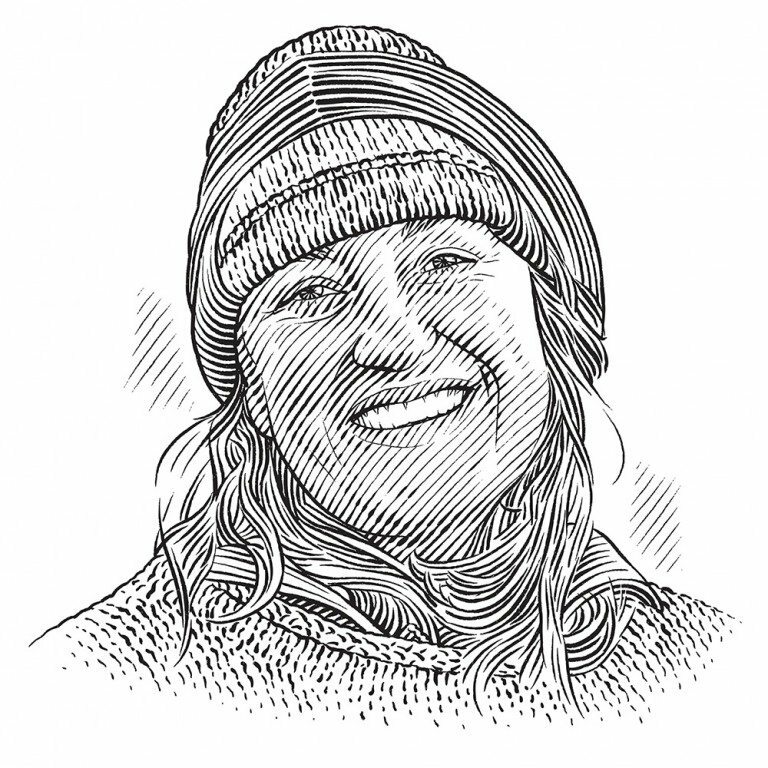 Studying whales in the remoteness of the Great Bear Rainforest is extremely challenging, even after many years, but Janie Wray has days in the field that make it all worthwhile. What do you think as you look at me? Will you remember my face the next time we meet?’ These are the first thoughts that enter my mind as I look directly into the eye of a mother humpback whale. This was not a chance encounter. She made the contact, bringing her young calf alongside our boat. 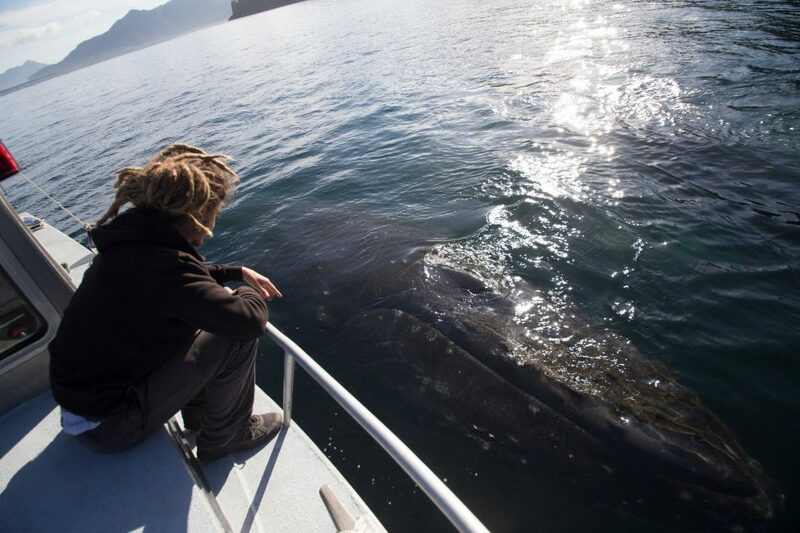 In all the years – and there are many – that I have studied the behaviour of humpbacks, never have I experienced such an intimate moment with a whale. It all started, as it often does, with a blow in the distance. Our research intern Nigel and I were on our way to the ferry at Hartley Bay. He saw the blow and pointed towards Fin Island to let me know I should slow down. I cut the throttle and tried to position the Elemiah at the perfect angle to take an identification photograph of both mother and calf. They dived before I could manage this, so I put the boat into neutral with the intention of waiting quietly until they returned to the surface to breathe. We were both startled when, less than 30 seconds later, the mother took a huge breath just inches from our hull. The 28-foot Elemiah suddenly felt very small. In the still waters the whale’s giant body gently touched the edge of our boat. This precious moment deserved all our attention; words felt out of place. The rapt silence was broken as she exhaled deeply, leaving a spray of warm moisture to settle on our skin and clothing. In this moment we were reminded of each other, the boat and our surroundings as we took a breath ourselves and began to giggle. I had forgotten how sticky and stinky whale blow can be. I may never understand why this mother had decided to introduce her calf to us, these two-legged creatures attached to a loud aluminium machine. I often wonder what whales perceive when curiosity sets in and they decide to research us for a change. How odd it must be for them to try to understand why we are not in the water; the sounds of our footsteps as we move excitedly from one side of the boat to the other; the sight of us as we hang over the edge of the boat with a camera as our eye; the ‘click click click’ sound as we seek to freeze this moment forever in our memories. When she first arrived I had put the camera down in order to be fully present during such a special moment; to look directly into her eye – one species to another, one world to another – terrestrial and marine minds trying to understand one another. The entire encounter felt as though it had passed in seconds, but the reality was that she and her calf were with us for almost 40 minutes of pure bliss. The temptation to reach out and touch her during the times her immense head rose from the water, inching towards our searching eyes, was overwhelming. I was completely awestruck, unsure how to react to this incredible and rare cetacean gesture. Although the mother was completely focused on us, her calf eventually became restless. Perhaps after so much time he had become bored with us and wanted his mother’s attention. She ignored him as he swam impatiently from one side of the boat to the other. 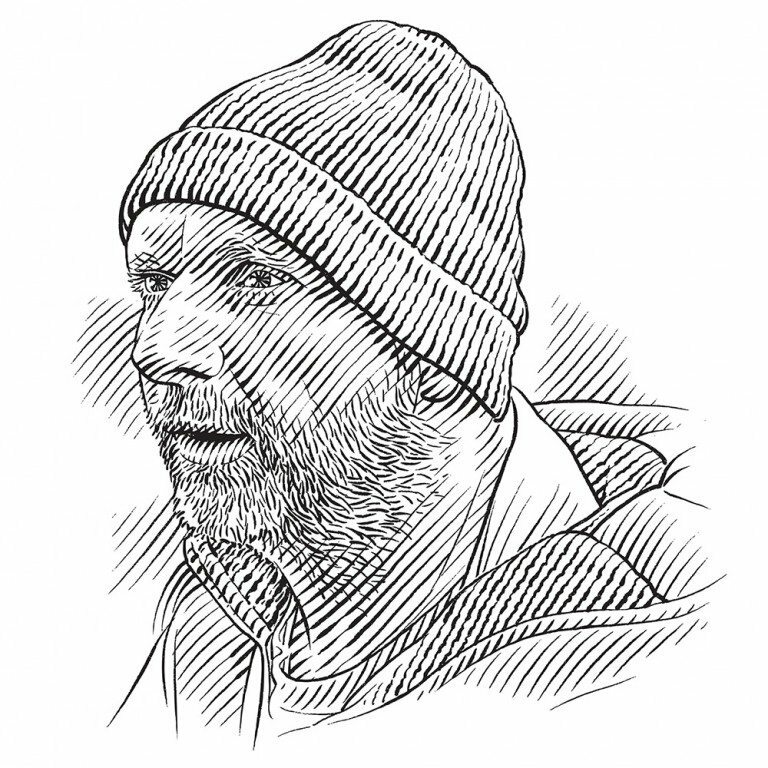 When he had had enough and breached just metres from our boat I became a bit uncomfortable. It appeared she did as well. She moved towards her calf and we thought perhaps it was time to leave. But not quite yet. They were under the water for less than a minute before she appeared again, rolling to her side for one more look at our euphoric human faces. This time I did take a picture. Still our encounter was not yet over as something astonishing began to unfold. While she was looking at me, I turned towards the bow of the boat where the calf had just surfaced. As I turned back towards her, completing a full rotation of my body, Nigel spoke up: ‘She’s turning too.’ By the time my eyes were back on her I was staring at her vast pleated belly. She had copied my rotation. Was she communicating to us with her body? By now the calf had had enough and, side by side, they went on their way. In the distance, heart-shaped flukes, one large, one small, disappeared into the sea. Janie and Hermann are working for the protection of Orcas and Humpback Whales in the Great Bear Rainforest by tuning into underwater hydrophones and deciphering the secret language of these majestic animals.